Eyecessorize spokesperson and style expert Jenn Falik is our spankin’ new ongoing guest blogger! You may have spotted her dishing out fashion and beauty advice on hit TV shows like “The View,” “Rachael Ray Show” and “E! News,” just to name a few! So in coming months, be on the lookout for even more blog posts from our leading lady! The ultimate statement accessory, eyewear gives you the opportunity to play around with your beauty routine, and in the process, further enhance the flattering effect specs and sunnies have on your face! 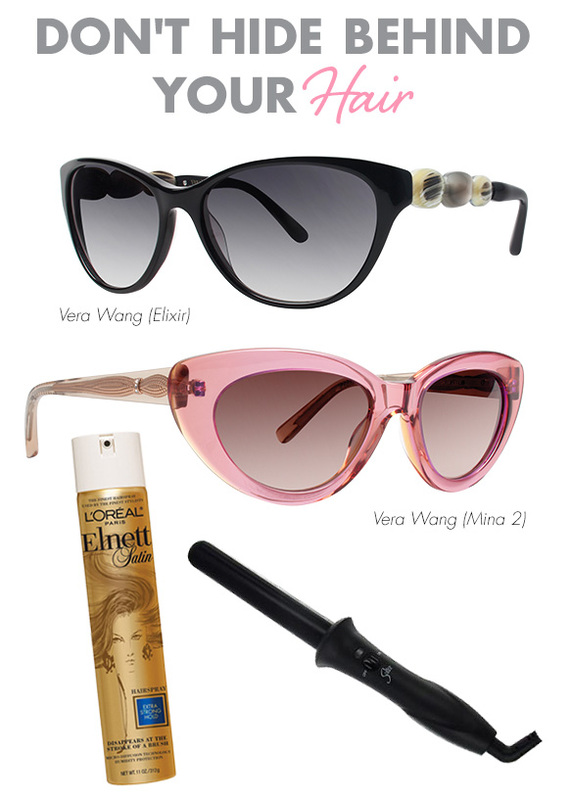 Ladies, those of you who wear frames are privy to a host of fun options when it comes to your skin, hair and makeup regimes—so check out a few of my personal product picks to get the looks featured in my exclusive video for Eyecessorize, “Beauty Tips for the Bespectacled,” below. Lenses can magnify the delicate skin around your eyes, so hydration is a must! 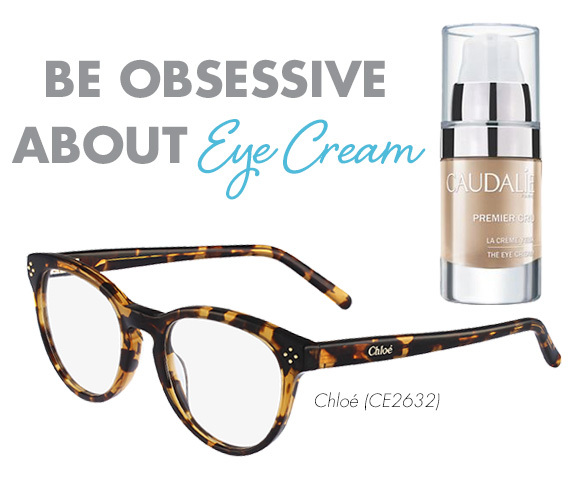 If you are up for a splurge, look no further than Caudalie Premier Cru eye cream. Dab your index finger along your eyes’ contours morning and night, or anytime throughout the day when you feel like that area could use a little extra love. Trust me, with some moisturizing, your eyes will appear flawless, especially under these tortoise Chloé frames with a quintessential keyhole bridge. Frames make your eyes the focal point of your face. By using eyeliner, you’ll ensure your eyes get the emphasis they deserve. The right liquid liner can be a girl’s best friend, especially that from Ardency INN. I love the petite size, as it makes it so easy to apply precisely. Plus, there’s a versatility factor—the fine point can create a subtle line, or you can tilt it on an angle for a more dramatic look. 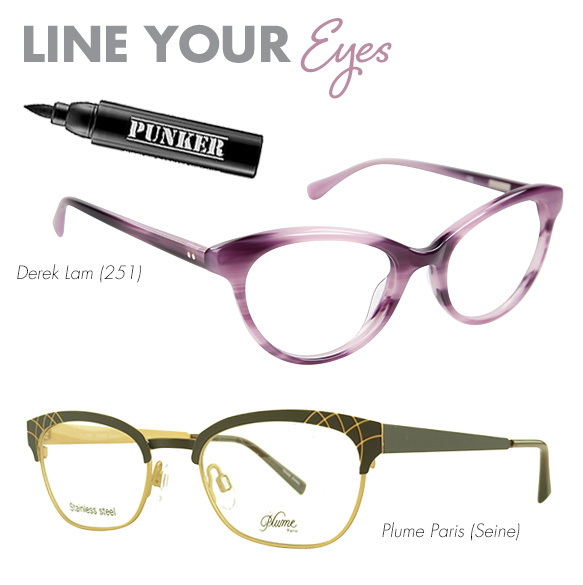 With demure cat-eye specs by Derek Lam in a soft purple wash, or Plume Paris glasses with a detailed brow bar, your eyes will seriously pop. I know, I know—we all own, and love, glosses galore! But trust me on this one. 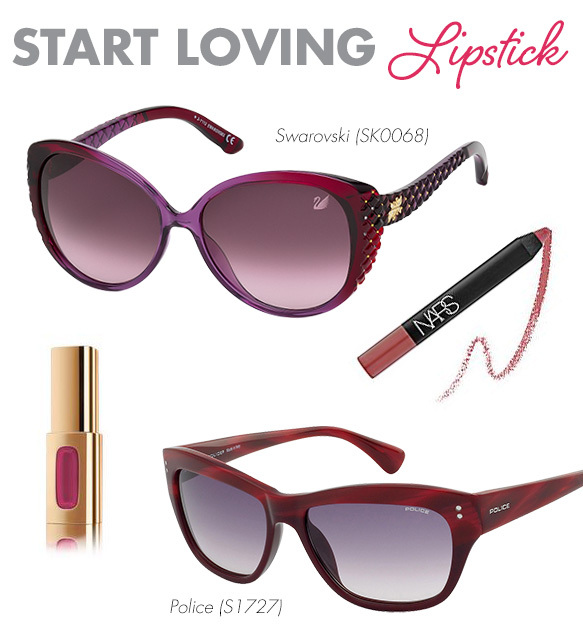 Lipstick is the best way to balance out statement frames, like embellished Swarovski sunglasses or angular vibrant red Police shades. So next time you are at the drugstore, pick up a long-lasting L’Oreal Paris lippie for the perfect coat of hydrating color. Also, NARS makes the most amazing Velvet Matte Lip Pencils that I highly recommend for saturated shades. Tousled curls are a fantastic way to frame your frames. I get mine with a few twirls of the Sultra curling wand. Regardless of whether I want to secure my beach-y waves or slick back a sleek pony, the one hair spray that I—and every professional hairstylist that I know, for that matter—always stock up on is by Elnett. Either way, oversized Vera Wang sunnies with fun temples are especially perfect for such hair-dos. Consider this your excuse to add a product (or five) to your beauty arsenal, and play away! Share photos of your bespectacled beauty with @eyecessorize on Twitter or Instagram. Just don’t forget to use the hashtag #bespectacled beauty so I can be sure to catch a glimpse!